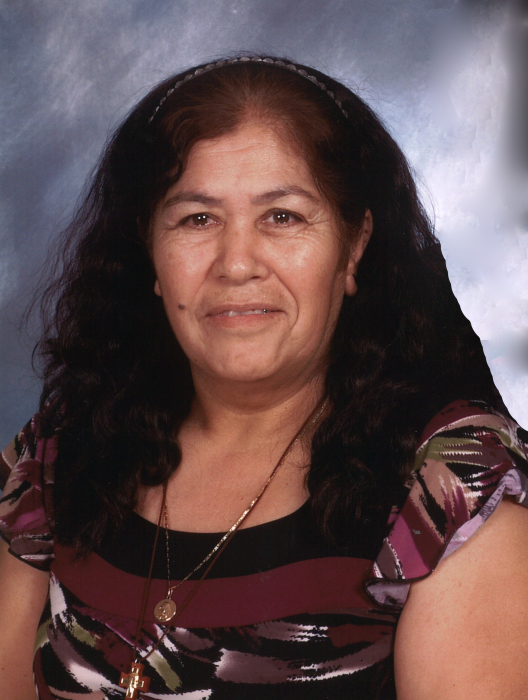 Hilda Jimenez, 65, of Coleman, died Thursday, March 28, 2019 at her residence surrounded by her loving family. Rosary will be 7:00 p.m. Friday, March 29, 2019 at Stevens Funeral Home Chapel, 400 West Pecan Street, Coleman. Mass of Christian Burial will be 2:00 p.m. Saturday, March 30, 2019 at Sacred Heart Catholic Church, 303 East College Avenue, Coleman, with Fr. Laurent Mvondo officiating. Burial will be in the Coleman City Cemetery. Services are under the direction of Stevens Funeral Home. She was born Hermenegilda Muñoz on April 7, 1953 in Guanajuato, Mexico to Pedro Muñoz and Juana Morales Muñoz. She grew up in Mexico, where she met and later married Jose Jimenez. Hilda loved working in her garden and taking long walks. She would often be found reciting the Rosary. She loved singing and spending time with all of her family. She was a member of Sacred Heart Catholic Church. Survivors include her husband, Jose Jimenez of Coleman; 10 children, Elena Avila of Coleman, Ismael Jimenez of Coleman, Gerardo Jimenez of Mexico, Martha Jimenez of Mexico, Irma Patińo of Bedford, Celia Jimenez of California, Silvia Jimenez of Mexico, Jose Jimenez, Jr., of Tuscola, Monica Jimenez of Coleman, Jorge Jimenez of Dallas and five sisters. Also surviving are 26 grandchildren, six great grandchildren and numerous nieces and nephews. She was preceded in death by her parents, two brothers and three sisters. You may offer condolences and remembrances to the family at www.livingmemorials.com.